There’s a story behind my latest freehand ribbon embroidery design. But, my big brother is visiting, so I’ll save the whole story for next week. 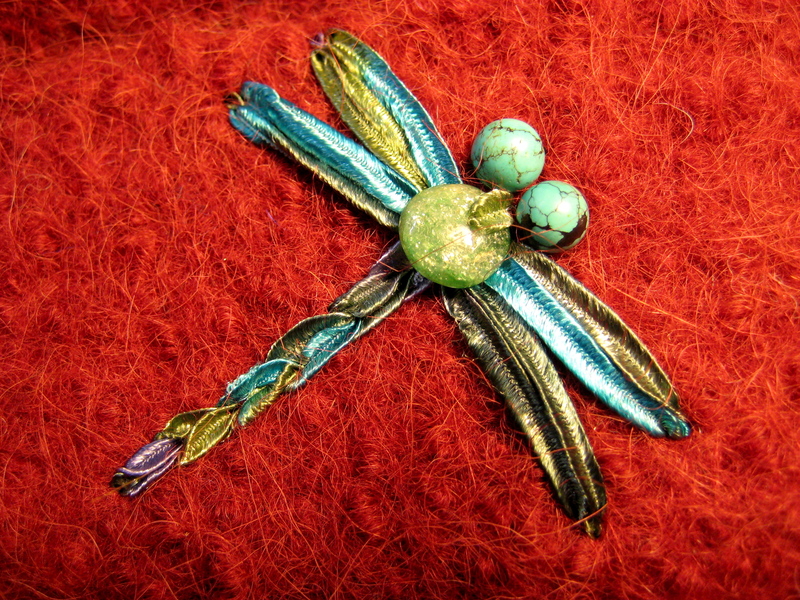 My 1st-ever dragonfly embroidery with turquoise and jade beads. I’m tickled with how it finally turned out… What do you think? My "Hannah Kearney Tribute Coif" sketched by Heather Halpern. I’m stunned by the photo-realism of Heather’s work! Look how she captured the nubby texture of my felt hat above, and also of her lovely daughter’s hat… AMAZING! 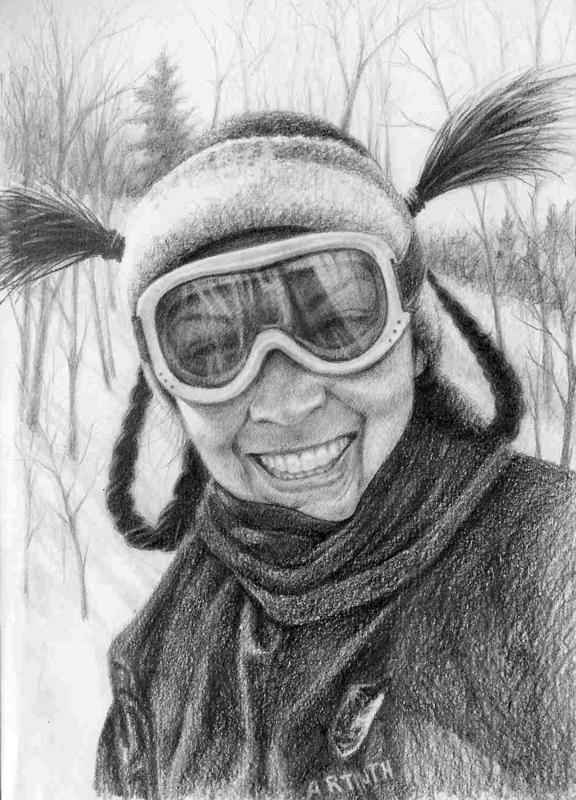 See more of Heather’s 2012 Sketchbook, and let her know what you think… Heather has only recently begun to share her work publicly. Please tell her: we want more!